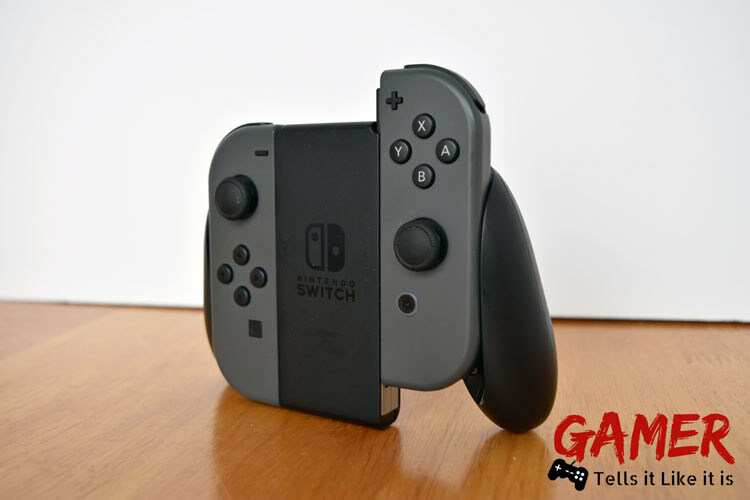 Nintendo's newest game system, the Switch, came out back in March of 2017, but unless you camped out, preordered, or knew someone who could get you one, you probably weren't able to get one until now. Yes, the Switch is out there in the stores now to purchase. No need to camp out! What's so great about the Nintendo Switch? 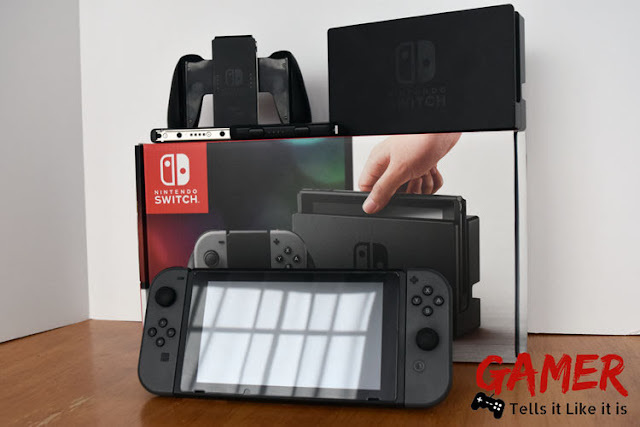 Well, it's a different kind of gaming system than the previous ones because the Switch is both a home system and a portable system. The Switch is a completely new system and will not play any of the older games. 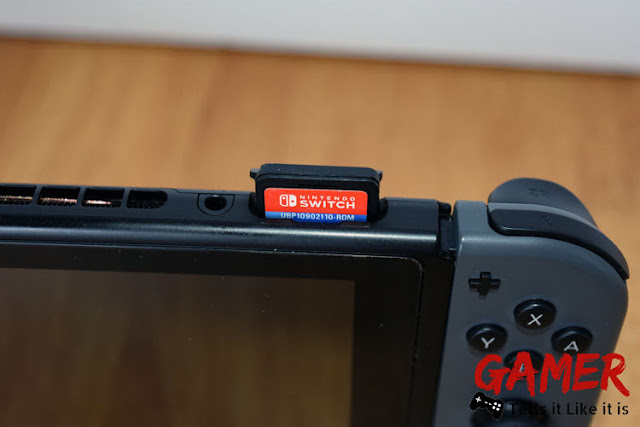 Nintendo has gone back to using cartridges for their games. Great thing about going with cartridges is there is no software loading on the system! 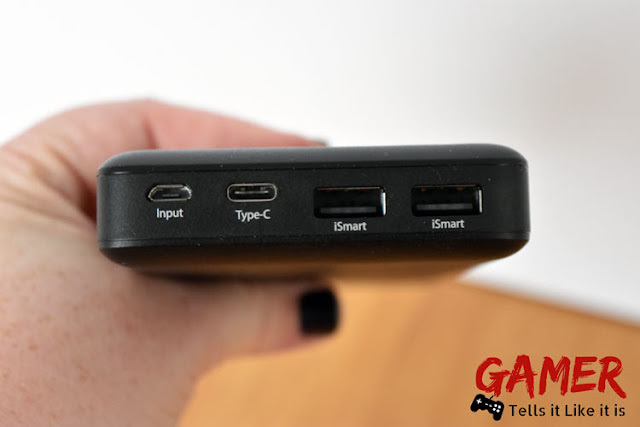 The docking station is what makes the Switch a home game system. 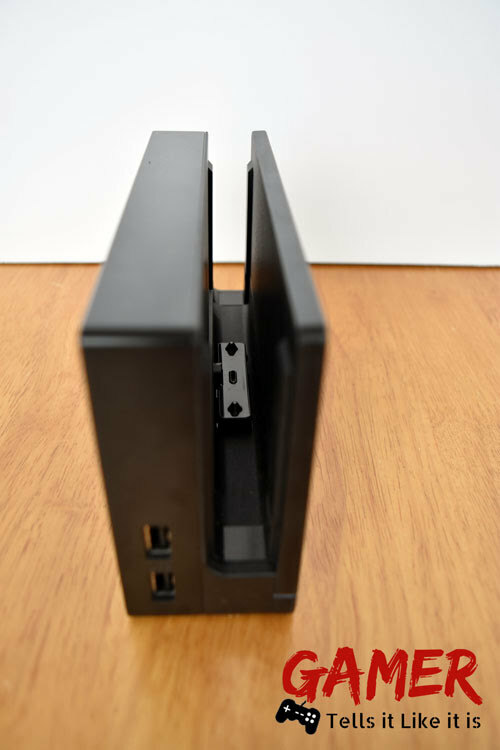 You'll place the Switch into the docking station to be able to play on your home TV. This will also charge your system while docked. 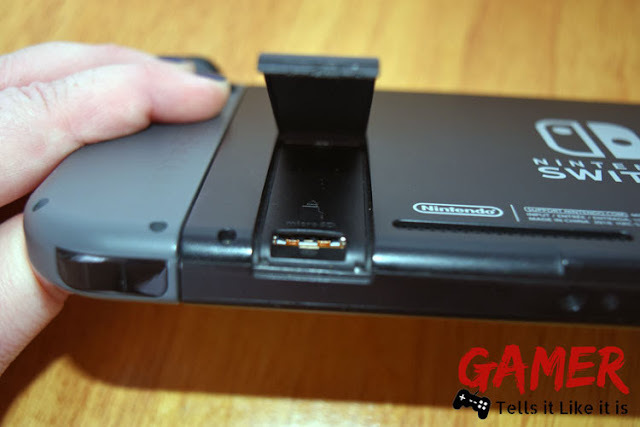 The Switch slides right into this slot. Be careful when placing the Switch into the docking station, you could scratch the screen on the system. The docking station will need the supplied Nintendo power charger and hooks up to your TV with supplied HDMI cable. 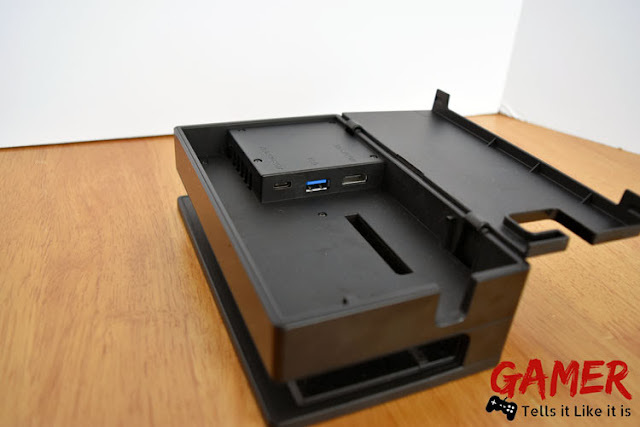 There are also USB ports to be able to charge controllers on the dock. 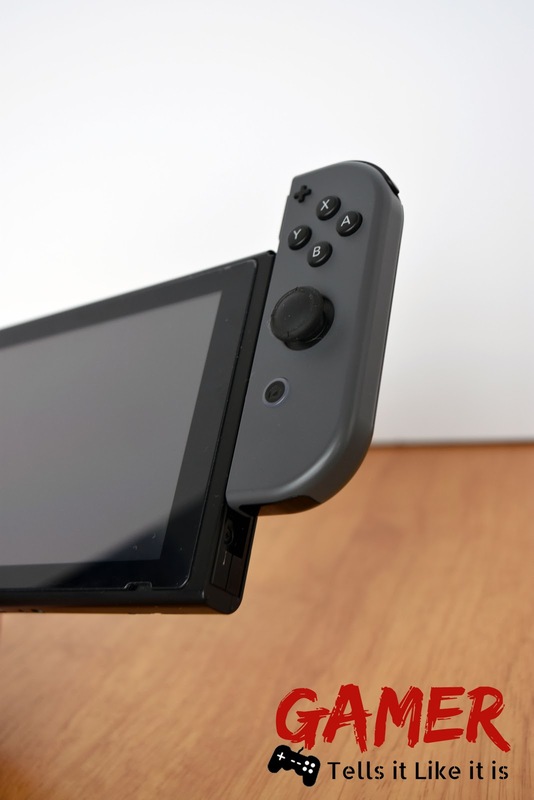 To play while on TV mode, you'll want to remove the Joy-Cons (controllers) on both sides of the Switch by pushing the button at the top and sliding them from either side of the Switch. 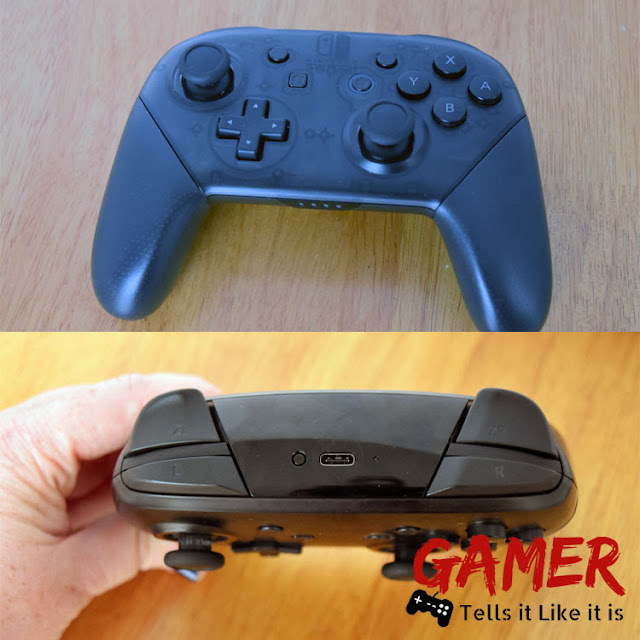 Then slide the Joy-Cons into the Joy-Con Grip (included with the Switch). Sit back on your couch and enjoy. The Joy-Cons will last a total of 20 hours each when detached from the system. 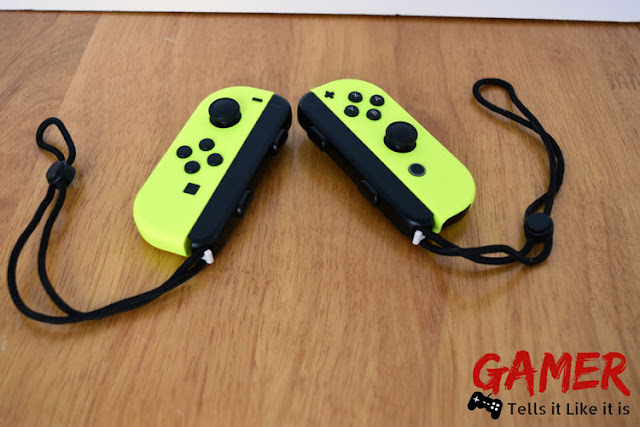 You can charge the Joy-Cons by reattaching them to the Switch system. Just by taking the Switch out of the docking station, it is now a portable system. No need to play levels over in a game that you have for both your home and portable system. So, no more, "let me finish this section of the game so I can save." You can just take it from the dock and continue on with your game and go wherever you need to go. In portable mode, the Switch will last a total of 3 hours with more graphically intense games. What else should I buy with the Switch? 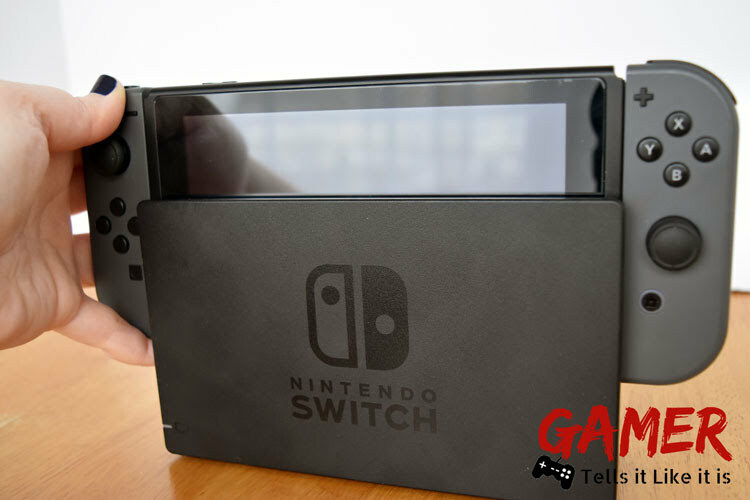 The Switch has the capability to download a lot of games on to its 32 GB of internal storage. The games are not too large so 32 GB should work for a few games. I would, however, recommend purchasing a memory card if you feel that the internal storage of 32 GB is not enough. The Switch comes with a memory card reader that will support up to 1,024 GB which is not currently available. What that shows is that Nintendo was thinking ahead on how to expand the Switch. Currently the largest is a 200 GB and I recommend getting the Ultra XC 1 Micro SD memory cards. Something that I highly recommend doing to your Switch first thing is to install a a Nintendo Switch Orzly glass screen protector. The Switch comes with a plastic screen and if you don't put the system in the dock correctly, it can get scratched. I would suggest not to do a bundle deal. 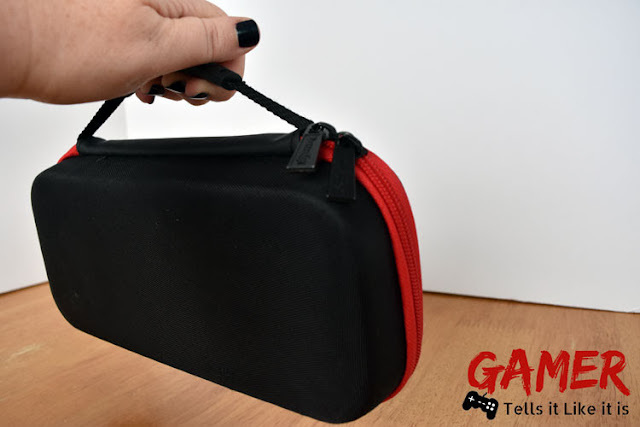 Most of those deals include a game and a portable carrying case for the Switch, but with my in depth research these bundled cases are not the best. I recommend the Butterfox Nintendo Switch Case. 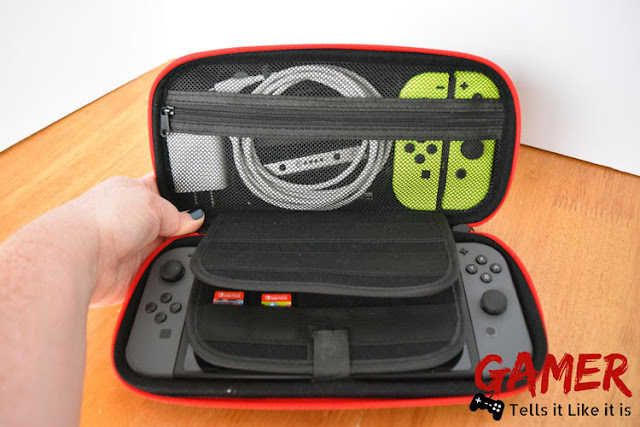 The Butterfox Nintendo Switch Case has a nice handle and can come in several different colors. The reason I recommend the Butterfox is because it will hold up to 19 games. Most cases may only hold a maximum of 9 games. 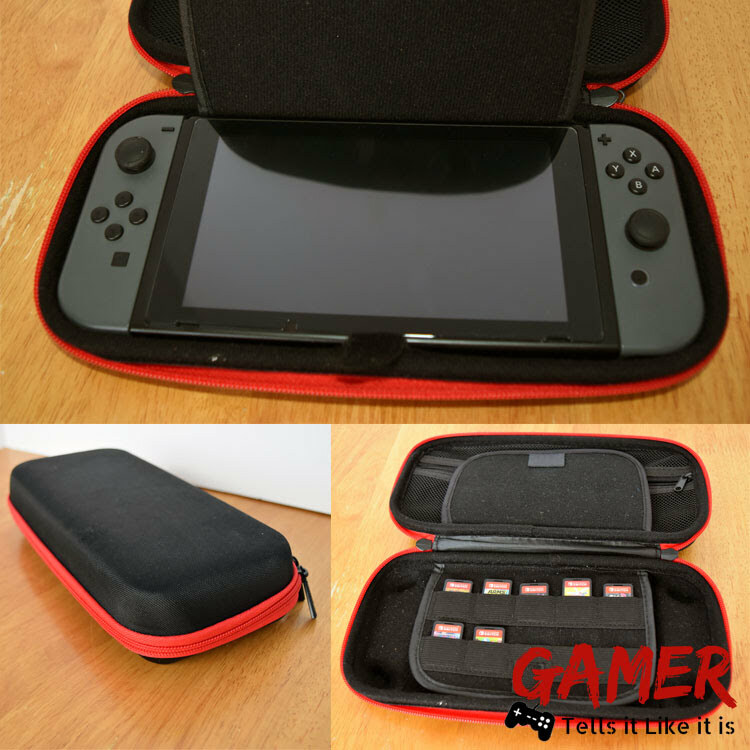 I also like that it has a zipper pocket to hold extra Joy-Cons and charge cords. If you're planning on purchasing any 2 player or even up to 4 player games, you'll need an extra set of Joy-Cons. You may be fine with using the Joy-Con Grip, but I prefer using the Pro Controller when playing in TV mode. Just like the Joy-Cons, the Pro Controller will last 20 hours. 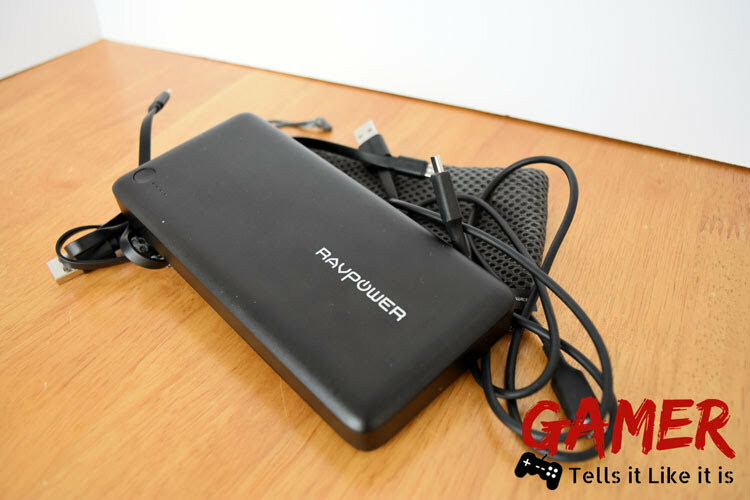 It can be charged through the docking station with the supplied USB cable. When I'm on the go, I don't want to be carrying around the huge power pack that comes with the Switch. After further research, I found that I could use the Google Pixel XL charger to charge the Switch while I was on the go. The Google Pixel XL charger will give you the ability to play while charging your system. 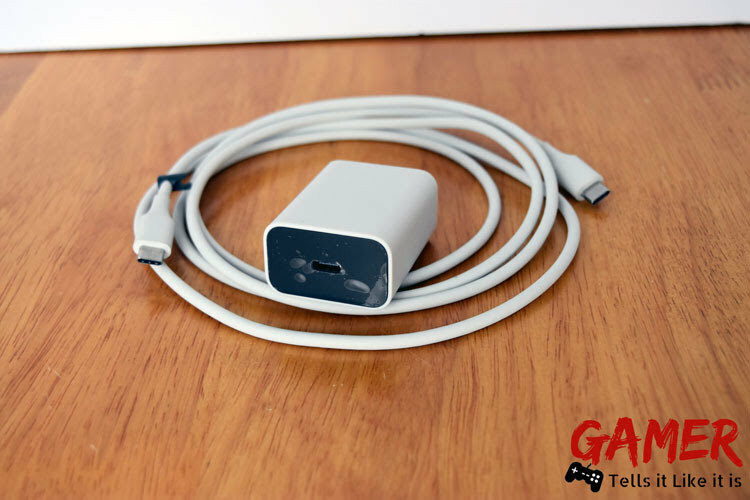 This charge cord will not work with the dock due to the USB ports requiring more power than most smaller chargers. Over the summer I was doing traveling for my work and being on a plane for over the 3 hour battery life span was an issue. I ended up purchasing the RAVPower PD battery pack to help for the flights. I have been able to charge the Switch and 2 cell phones at the same time with this battery pack. Well worth the cost and we have used it more than just flying, like long car rides. 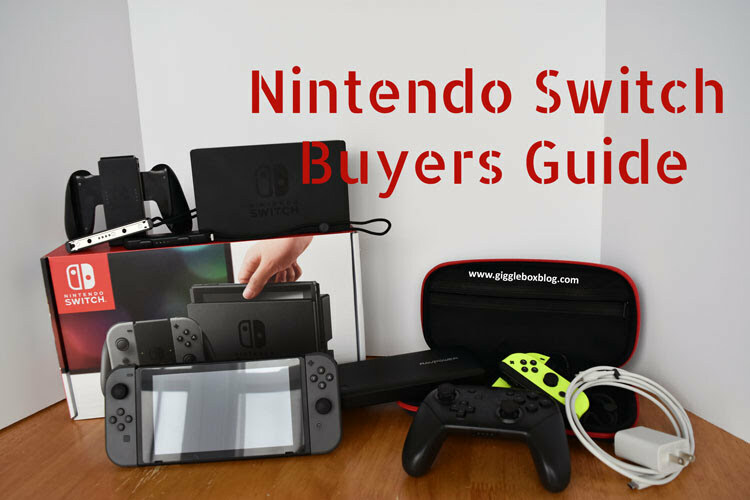 I hope this has helped with your future Nintendo Switch purchase. Let me know in the comments below what you found helpful and what you'd like to see in the future. 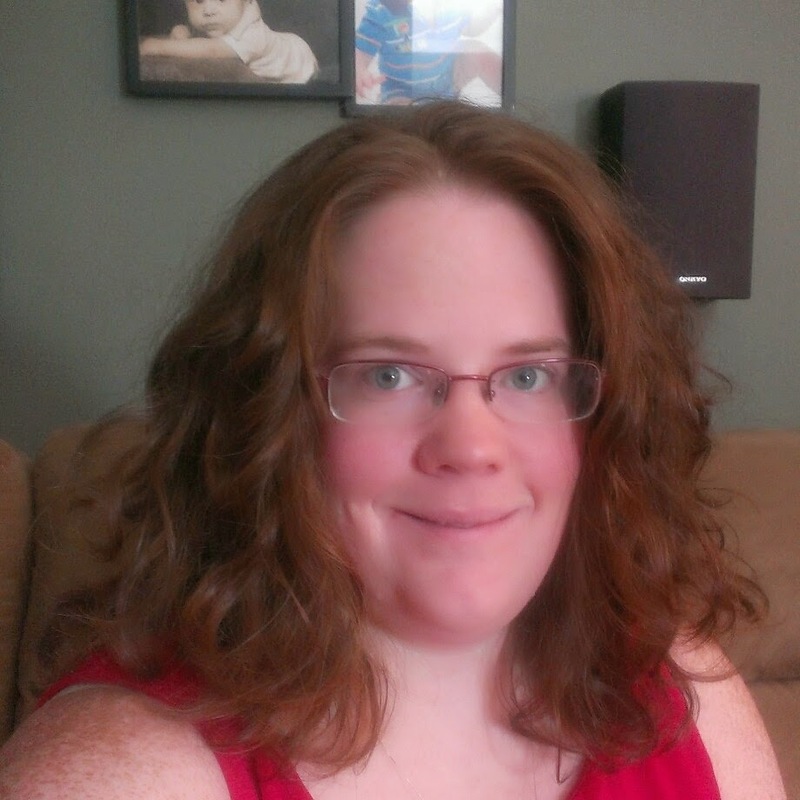 This is the video of my overview and buyers guide if you'd liked to see things in action. There's also some other information in there that I did not include in this post. Oh, and a special appearance by my son, Michael, with his thoughts on the Nintendo Switch. Looking for some game ideas? We've created a Nintendo Switch board over on our Pinterest page. All the items listed in the post, as well as games are pinned in there. Again, I hope this has helped with your Nintendo Switch purchase. Stay tuned for more of Gamer Tells it Like it is.